Death Knell for the Bull Market? With money velocity collapsing and ominous divergences developing in both the NYSE Advance/Decline line and the New Highs/New Lows summation, U. S. stocks closed at an all-time high last week. If this were not disconcerting enough, the Hindenburg Omen, which signals an increased probability of a stock market crash, flashed red on Friday. There was also this unequivocal pronouncement from the Elliott Wave Theorist after the Dow Industrials came within a single point last week of fulfilling their long-term rally target at 17280: ‘Next week, the U. S. stock averages should begin their biggest decline ever.’ As for your editor, Rick’s Picks has been drum-rolling a key ‘Hidden Pivot’ target at 2028 in the S&P 500 Index that has been 27 years in coming. On Friday, the index hit a record 2019. Is a major top at hand? It is often said that bells do not ring to signal the end of a bull market. But if the broad averages were in fact to plummet in the weeks ahead, never forget that bells did indeed ring. Of course, permabulls and Wall Street managers charged with throwing Other People’s Money at stocks will not likely have noticed, so intent have they been on headlines proclaiming the soundness of America’s alleged economic recovery. Over the weekend, one such story that would have goosed their confidence to giddy new heights concerned the recovery of home prices in the exurbs. To the OPM bozos, nothing says ‘recovery’ like renewed growth in subprime mortgage debt. This post was published at Rick Ackerman BY RICK ACKERMAN ON SEPTEMBER 22, 2014. Watching the results of Scotland’s secession gambit was quite a ride, if not a little disappointing in the end. It would have been fantastic to see that proud nation independent once again. I suppose it’s not to be, at least for now. While Downing Street breathes a sigh of relief, perhaps they should reexamine the demographics of the voting results. They certainly don’t bode well for the future of the United Kingdom. For starters, the growth of the independence movement was quite impressive. From 2011 until the day of the vote, there were quite a few polls taken on the matter. While there were many swings from month to month, support for independence probably averaged around 30 percent until 2013. From 2014 on, it slowly but consistently climbed into the mid 40’s. So who was responsible for this growing popularity? Mainly the young and the poor, who are increasingly finding themselves in the same category as time goes on. 73 percent of those over 65 voted against secession, after fearing for the state of their pensions should Scotland break away. It’s very likely that the oldest generation is the only thing keeping the ‘U’ in the U. K.
The writing is on the wall, as it is in most countries. It seems that younger people don’t like being ruled from far away elites who don’t represent them, culturally or politically. As the previous generation dies off, they will slowly become the majority. This burgeoning urge to break nations down can be seen across the globe, and is a natural course of history. Of course, the United States is no exception. This post was published at The Daily Sheeple on September 21st, 2014. When the most persistent, most aggressive, and most sizeable actions of policymakers are those that discourage saving, promote debt-financed consumption, and encourage the diversion of scarce savings to yield-seeking financial speculation rather than productive investment, the backbone that supports a rising standard of living is broken. The U. S. Ponzi Economy is one where domestic workers are underemployed and consume beyond their means, household and government debt make up the shortfall, corporate profits expand to a record share of GDP as competitive pressures are reduced and cheap goods and labor are outsourced, corporations both accumulate the debt of other companies and issue new debt of their own, primarily to repurchase their own shares at escalating valuations, our trading partners (particularly China and Japan) become our largest creditors and accumulate trillions of dollars of claims that can effectively be traded for U. S. property and future output, Fed policy encourages the yield-seeking diversion of scarce savings toward speculation in risky securities, and as with every Ponzi scheme, everyone is happy as long as nobody seeks to be repaid. The Japanese government has downgraded its assessment of the economy for the first time in five months, as a string of weak data hammers hopes for a quick recovery following Tokyo’s April sales tax hike. The monthly report acknowledged spending at home had stalled, throwing into question Tokyo’s plans to hike sales taxes again next year as Prime Minister Shinzo Abe offered a rare acknowledgement that his growth blitz was taking a hit. But the report added that depressed conditions were due partly to poor weather – Japan was inundated with heavy rainfall and a string of typhoons this summer. This post was published at Investment WatchBlog on September 21st, 2014. In his weekly market review, Frank Holmes of the USFunds.com nicely summarizes for gold investors this week’s strengths, weaknesses, opportunities and threats in the gold market. Gold closed the week at $1,216.98 down $12.76 per ounce (-1.04%). Gold stocks, as measured by the NYSE Arca Gold Miners Index, fell 5.44%. The U. S. Trade-Weighted Dollar Index rose 0.63% for the week. Gold Market Strengths China officially opened the Shanghai Free Gold Exchange on Thursday. By giving foreign investors direct access to its gold market for the first time, China is seeking to obtain more influence over prices while simultaneously boosting the global use of its currency, the yuan. In addition to the deregulation of the gold market in Shanghai, Hong Kong’s Chinese Gold and Silver Exchange Society was given permission to set up a precious metals vault in Shenzhen this week. The continued deregulation of the gold market by the world’s largest consumer is a huge boost to the precious metal. In the first eight months of this year, Shanghai imported $15.98 billion of gold, a staggering indicator of demand in China. Furthermore, last Thursday, two tonnes of gold was imported into Shanghai, indicating that gold imports into the city are not slowing down. China is planning on boosting its gold reserves. The country’s reserves, a mere 1.1 percent of total reserves, have plenty of room to grow if when compared to nations such as the United States and Germany, which hold roughly 70 percent of their reserves as gold. The increase in gold demand from Chinese central bank purchases should place upward pressure on gold prices. This post was published at GoldSilverWorlds on September 21, 2014. … have a warning for the algos. The warning was ignored, and as a result both biotechs and social/tech stocks have soared to fresh post dot com, if not record, highs. Then, a week ago, the central banks’ central bank, BIS, warned again of unprecedented complacency when it said there was “low volatility everywhere“, and once again reprised its warning from the summer of 2013, that there is a asset bubble, and that it is central banks policies themselves that are responsible for this. Was the Scottish Vote Really Scottish? Being Scottish was actually not the criteria to be able to vote. The entire criteria was residency. As a result, almost 400,000 people living north of the border in Scotland were actually not Scottish but born in other parts of the UK (reported the BBC back in 2012). The number of Scots living in England, Northern Ireland and Wales had no vote amounting to 800,000 not counting the Scottish in Canada and the United States. Even if we set aside the question of rigging the vote, it seems that the criteria by itself may have doomed the entire vote. Can you imagine if the right to vote that the United States should merge with Mexico was based upon simply residency? The turnout for any Scottish vote was no doubt setting all records in this referendum . In total, 4.29 million people registered to vote in Scotland based simply upon residency not requiring any Scottish birth record. It appears that more than 90% of voters turned out. In a similar vote in Canada in 1995 on whether Quebec should secede, 94% of registered voters cast their ballot. This post was published at Armstrong Economics on September 21, 2014. Just two short months ago, Goldman Sachs was exuberant over the ‘expansion’ signals that the firm’s Global Leading Indicator Swirlogram was exhibiting as it confirmed their ‘economists’ expectations that the Keynesian hockey-stick of hope would once again re-appear majestically in H2 2014 and lift America (and the world) to escape velocity. That dream is over. Confirming the collapse of world GDP expectations, Goldman’s GLI has plunged into ‘slowdown’ with momentum starting to slow. Perhaps, just perhaps, as we noted previously, this time is not different and the annual cycle of extrapolating early-year hope is rapidly turning to late-year disappointment. Our September Advanced GLI came in at 3.0%yoy, down from last month’s reading of 3.1%yoy. Momentum decreased to 0.25%mom from 0.29%mom last month. The September Advanced reading places the global cycle in the ‘Slowdown’ phase, characterised by positive but decelerating momentum. This post was published at Zero Hedge on 09/21/2014 –. What happened this week was exactly what a great many (including myself) expected out of the Federal Reserve’s meeting and press conference. i.e., Confirmation it was not only more of the same, but that the world was, and will be, ‘fine’ under their guided hands of policy dictates. Strike a win for the first of the four C’s: confirmation. It’s Official: China consumed, mined and imported the most gold ever in 2013. In all three gold categories the Sino nation is Number One Worldwide. Here are details. China has been officially crowned the world’s largest gold market for the first time in history, according to fresh industry figures. The country overtook India as the world’s largest consumer of gold in 2013, with consumer demand soaring 32 percent to 1,066 tonnes for 2013. That’s the most gold ever demanded annually by one country’s consumers in bars, coins and jewelry, topping India’s previous 2010 record of 1,007 tonnes. China is already the world’s top producer of gold, mining 437 tonnes in 2013 on industry estimates, with the largest annual increase globally for 2013. It displaced South Africa as the world’s largest gold producer in 2007. The country also imported a record 1,108 metric tons in 2013, up 33 percent from a year ago, via Hong Kong. That’s more gold imports than any other country. ‘The impact on the Chinese gold industry of the extraordinary growth in 2013 demand has been marked, with significant growth in both manufacturing and retail network capacity,’ reads the World Gold Council’s latest quarterly demand report. ‘The gold market has really taken off in China over the last five years: from being quite small to now being the largest in the world,’ World Gold Council managing director Marcus Grubb told IBTimes in a phone interview. 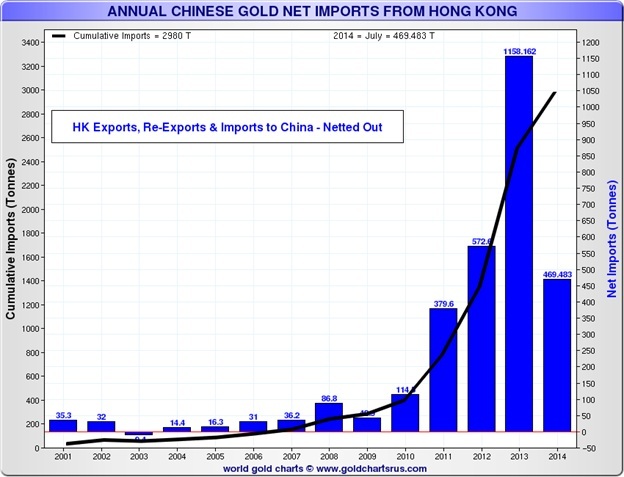 Without a doubt: We ain’t seen nothing yet…as the GLOBAL GOLD RUSH IS ON…especially in China. This post was published at Gold-Eagle on September 21, 2014. The median U. S. household income in 2012 was $51,000, but that’s nothing to crow about. That same figure was first reached way back in 1989 – meaning that the living standard of Main Street America has gone nowhere for the last quarter century. 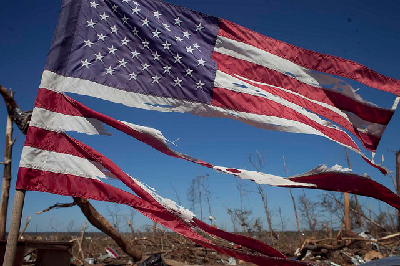 Since there was no prior span in U. S. history when real household incomes remained dead-in-the-water for 25 years, it cannot be gainsaid that the great American prosperity machine has stalled out. Even worse, the bottom of the socio-economic ladder has actually slipped lower and, by some measures, significantly so. The current poverty rate of 15 percent was only 12.8 percent back in 1989; there are now 48 million people on food stamps compared to 18 million then; and more than 16 million children lived in poverty households last year or one-third more than a quarter century back. Likewise, last year the bottom quintile of households struggled to make ends meet on $11,500 annually –a level 20 percent lower than the $14,000 of constant dollar income the bottom 20 million households had available on average twenty-five years ago. Then, again, not all of the vectors have pointed south. Back in 1989 the Dow-Jones index was at 3,000, and by 2012 it was up five-fold to 15,000. Likewise, the aggregate wealth of the Forbes 400 clocked in at $300 billion back then, and now stands at more than $2 trillion – a gain of 7X. And the big gains were not just limited to the 400 billionaires. We have had a share the wealth movement of sorts – at least among the top rungs of the ladder. By contrast to the plight of the lower ranks, there has been nothing dead-in-the-water about the incomes of the 5 million U. S. households which comprise the top five percent. They enjoyed an average income of $320,000 last year, representing a sprightly 33 percent gain from the $240,000 inflation-adjusted level of 1989. The same top tier of households had combined net worth of about $10 trillion back at the end of Ronald Reagan’s second term. And by the beginning of Barack Obama’s second term that had grown to $50 trillion, meaning that just the $40 trillion gain among the very top 5 percent rung is nearly double the entire current net worth of the remaining 95 percent of American households. 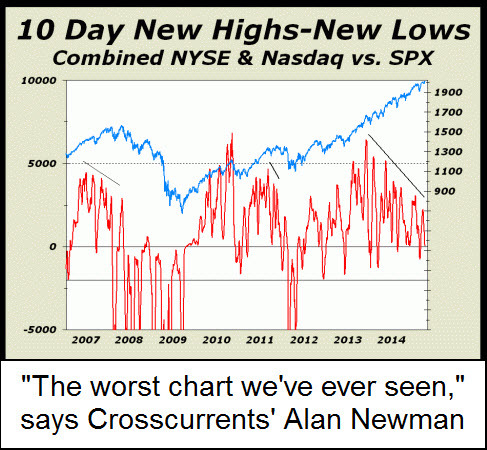 This post was published at David Stockmans Contra Corner by David Stockman ‘ September 21, 2014. As you can see, the use-example for the word “currency” hints at something The Dollar Vigilante (TDV) has been writing about for some time now…that the dollar “was” a strong currency, but is no longer. Since Google technically licenses its definitions from Oxford, we can look across the pond for the source of this nuggest of insight. Many nations are catching onto the fact that the dollar “was” a strong currency, but is no longer. Brazil, China, India, France, Russia, and South Korea have all been vocal about the fate of the US Dollar. This post was published at Dollar Vigilante on SEPTEMBER 21, 2014. The chart below shows the key global events that have influenced monetary policy for the 4 major legacy central banks: the US, UK, Germany and Japan since the mid-19th century. Because if there is one thing to “learn” from the history of monetary policy it is that there is nothing to learn from the history of monetary policy: after all, “this time is always different” when the voodoo priests in charge of it all try to make a bubble-blowing, kneejerk-response “science” out of something that only a mother could call art. USDJPY has been on a tear in recent weeks. Since China unleashed QE-lite, JPY and CNY have greatly diverged with USDJPY breaking above 109 and pushing six-year highs. This recent ‘relative strength’ is the most extreme overbought for the currency pair since early 2001 – which saw USDJPY plunge 30% in the following six months. The tick-for-tick rise in Japan’s stock market also broke a 9-month almost-perfect analog with the last time the nation raised its consumption tax. The extent of the exchange rate’s fall is “more or less, given the moves that were done between June and September, the right response,” said Visco, who also heads Italy’s central bank, but added very Japan-like, “the ECB isn’t targeting any exchange-rate level.” That is not what the EUR shorts will want to hear. USDJPY is at six-year highs with RSI at its most extreme overbought since 2001 – which saw a 30% decline in the next 6 months. Within the current global economic environment, central bankers – of the world’s developed economies and those of emerging markets alike – remain obsessed with the struggle to incorporate monetary policies which will engender renewed gross domestic product (GDP) growth in their respective economies. These central bankers have been led by the example of the U. S. Federal Reserve, whose implementation of a multi-year quantitative easing program, i.e. the $4.5 trillion (U. S.) purchase of U. S Treasurys and mortgage-backed securities, has been coupled with the maintenance of historically low administered interest rates; such as the present 0% – 0.25% range for the Federal Funds Rate. Complicating the global GDP growth challenge has been the persistent increase in the debt levels of many sovereign credits, once again led by the United States, whose national debt level now exceeds $16.8 trillion (U. S.) – that’s $16,800,000,000,000 (U. S.). Within the context of the above, it behooves us to visit a few historic examples of paper money systems which, while well-marketed, met with an inglorious fate. The Fed Then And Now – Remembering William McChesney Martin, Jr. Submitted by Erico Tavares of Linares & Co. These days, central banks have become so intertwined with the economy and capital markets that every word uttered by just about any senior Federal Reserve official is endlessly scrutinized to gauge what their next step might be. But it wasn’t always like this. There were times when the Fed actively defended the strict independence of monetary policy, as well as the role of free markets in creating prosperity and even preserving civil liberties. And those were the days of William McChesney Martin, Jr.
Born in 1906, Martin was associated with the Fed from the very start. His father, a prominent banker from St. Louis, was part of the team that helped write the Federal Reserve Act and subsequently served as President of the Federal Reserve Bank of St. Louis from 1929 to 1941. After graduating from Yale with a B. A. degree in Latin and English, Martin started his professional career at the Fed of his native St. Louis. He then left to become the head of the statistics department at A. G. Edwards & Sons, a local brokerage firm. He was promoted to partner just after two years, marking the beginning of a meteoric rise in the world of finance. He moved to New York to become the firm’s representative at the New York Stock Exchange, and eventually became the first paid President of the latter at the tender age of 31 – prompting the newspapers to label him the “boy wonder of Wall Street’. In one of the most politically charged statements to come from the central bank, Benot Cur, a member of the ECB’s executive board, urged Berlin to increase borrowing in order to support investment and cut taxes. The article follows calls by ECB president Mario Draghi last month for governments to match the central bank’s steps in loosening monetary policy with growth-boosting measures. However, Mr Cur and Mr Asmussen have gone further than Mr Draghi, who stopped short of asking Germany to raid its fiscal coffers. This post was published at Global Economic Analysis on Sunday, September 21, 2014.